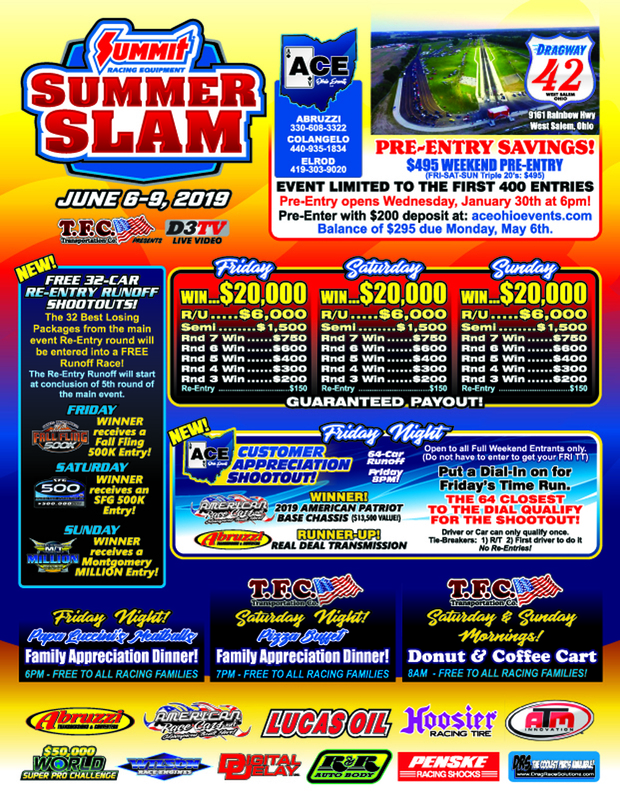 The June 6-9 date is set, at Dragway 42. Capped at 400 entries, $495 pre entry discount. Just $200 deposit due now, $295 balance due by May 6th. We are thrilled with our 2 events in 2018 and we hope you are excited to come race with us in 2019 at Dragway 42. $200 deposit, with balance $295 due May 6th. Parking starts Wednesday June 5th, with warm up races June 6th. PLUS the newest feature for June: The ReEntry Runoff! Each day we will give away an entry to a mega event. We will take 32 cars from each days main event- re entry round. The best 32 losing packages will get entered in a 32 car shootout. 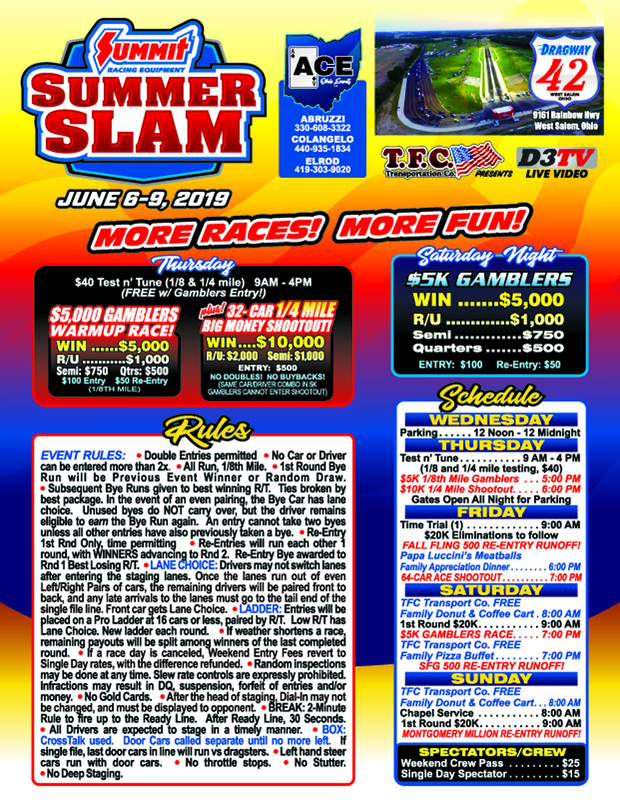 That's the biggest paying races of 2019, and 1 racer, each day of our Triple $20,000 events is winning an entry For FREE.